I’m a Sheffieldier of a certain age, growing up in the infancy of the computer games industry in Britain, so I used to head into the “big city” to visit WH Smiths, Woolworths, Boots and the other players in the early games market on my weekends. Just Micro was an independent retailer that appeared on Carver Street in Sheffield in 1983 and it was the destination for many other kids like myself to go and see and try and the latest games. Just Micro was different to the other stores since they stocked many other titles apart from the top 20 and they allowed the kids to use the array of machines in the shop to try the games. It ended up being a community of games players and was a very vibrant place to be. Gremlin Graphics was founded by the shop owners, Ian Stewart and Kevin Norburn after identifying the need for good games software. They harnessed the creative talent of the kids that came into the shop (namely Tony Crowther, Peter Harrap and Shaun Hollingworth) to form the fledgling software house. Having Gremlin in the city was hugely important to me, and seeing “Sheffield” at the foot of so many adverts in the big games press magazines at the time; ZZap!64 and Crash puffed out the chest a little and was very exciting. I was lucky enough in 2012 to work with Ian Stewart and the idea for writing the history of the company swilled around until 2014 when I decided it was time to grasp the nettle so to speak and set to work on “A Gremlin in the Works”. Holistically the book has taken since that date to come to fruition. The first dated interview I have is from 4 May 2014 and the book is due to be a physical printed thing by the end of the month (May), so just over two years. The research has been continual. I’d spend a week or so beforehand preparing questions for each interview, but also use the time in-between to go back and forth between protagonists if I needed both sides of a story, an argument, or if an interview with one person gave me additional information about a previous discussion. I believe its the most exhaustive and in-depth history of Gremlin that has even been written. 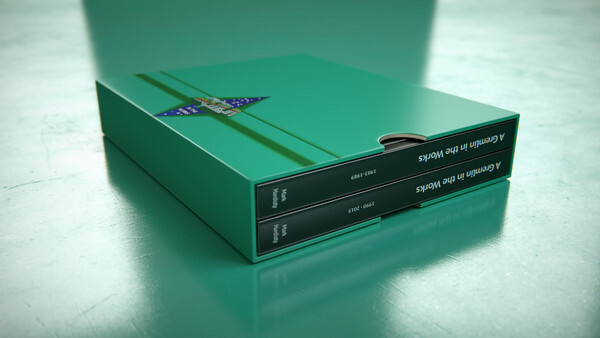 It contains loads of exclusive interviews with personalities that have never spoken publicly about their time at Gremlin – Kevin Norburn, Jenny Richards, Jeremy Heath-Smith, Chris Kerry, Tony Kavanagh and Bruno Bonnell to name a few. It’s absolutely stacked full of content; letters, royalty statements, design documents, game assets, photographs and hand-recreated inlay artwork from some of the titles. I think everyone who buys the book will get a cracking good read that is fantastic value-for-money. The book is 572 pages long, split into two volumes, so it’s been a herculean task to bake over 500,000 words into a tight, coherent tome, and for that I have to thank editor Mark Green who did an absolutely sterling job. 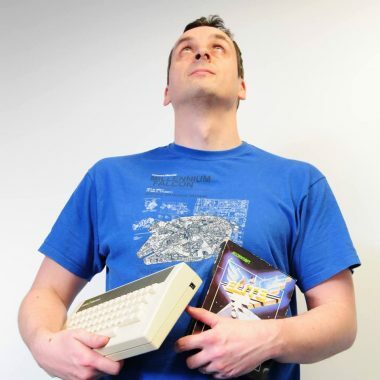 Some of the highlights for me are the chapters on several key studios such as Micro Projects and Magnetic Fields, along with a great insight into games such as Monty Mole, Thing on a Spring, Actua Soccer and Zool – plus a whole chapter dedicated to several games that were unreleased by Gremlin including Flag, Ramrod and Madness. 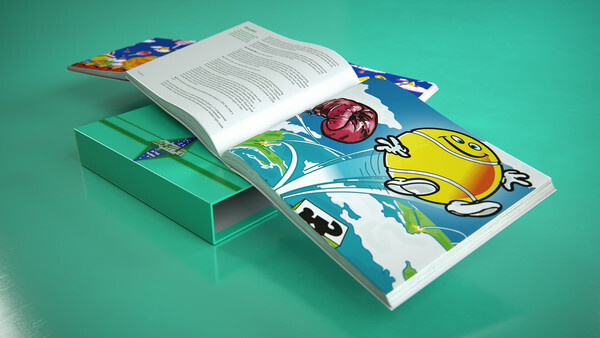 You can currently pre-order from Bitmap Books and its due for release at the end of May. As a family we owned a Philips Videopac at some point, which quickly gave up the ghost, but I was bought an Acorn Electron in 1984 after seeing Elite running at a friend’s house during the Christmas period before that. The Electron holds a dear place in my heart. It was a fantastic machine, even though it lingered in the shadow of its BBC Micro cousin. It was accessible, great keyboard, great BASIC and it forced me to learn how to program due to its dire game line-up and having limited pennies to spend in those days. After that I owned a Speccy +2, then skipped the whole 16-bit and console era until I started collecting machines a few years ago. This is going to sound a little boring, but Elite … It really is Britain’s Mona Lisa of game technology, culture and art. 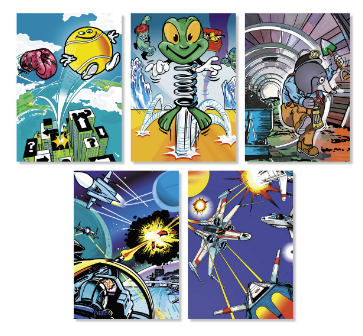 Seeing the rotating Cobra in the opening sequence left an indelible mark on me as a ten year-old and spurred me into wanting to consume and explore everything about it, and the underlying technology. I’ll be forever grateful to Messrs Braben and Bell for that. I don’t own an XBox One or PS4 I’m afraid. I’ve got an XBox 360 collecting dust underneath the TV, but that could be considered retro now? I’ve bought but never played Red Dead Redemption and LA Noire for it, have played quite a bit of the F1 series by Codemasters – but it does occasionally get used by my two daughters for Minecraft or Disney Infinity. Owning an Electron and Speccy we had quite a lot of dire games didn’t we? I think we persevered with a lot of dodgy titles because we were starved of good software at other times. Footballer of the Year (sorry Gremlin) sticks in the mind as one dreadful game on the Electron. A text-based football simulator sounds as bad as it is. I think after a while Gremlin had to re-issue the boxes with a warning sticker that the game was “text only” on it. Oh dear. Having browsed the site I’ll look forward to more stellar interviews from retro-gaming celebrities.